With a background in architecture, a love for children, a hefty collection of handbags and youthful minds dedicated to innovation, quality and usability, Flying Buttress Bags was born. 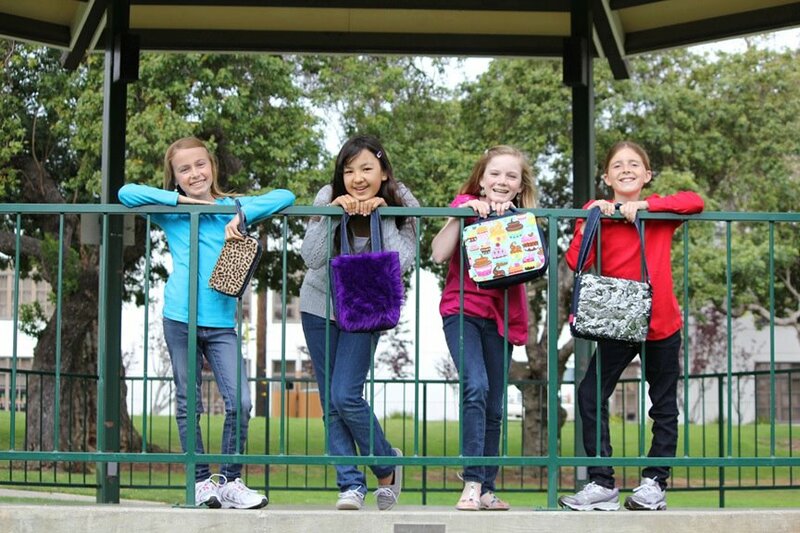 We have designed a handbag line that we would buy for our own children, nieces and nephews. We focused on an approach that encourages imagination, sustainability and individual expression. Why did we name our company Flying Buttress? A flying buttress is an exterior arch whose structure allowed for the great soaring, light-filled Gothic cathedrals of medieval Europe. Not only did these arches provide the structural support need, they provided a unique beautiful feature. Just like these arches, the Flying Buttress panels snap on to provide support and decoration to the Flying Buttress handbags, totes, tech cases and lunch bags. The concept is a system of five bags with over 40 different styles of panels that snap onto each of the bags. All panel styles fit onto all bags so the look of your bag can be easily and quickly changed. This concept rewarded Flying Buttress with a nod as one of the “Best Gifts for Kids” for Holiday 2012 from Entrepreneur Magazine." My daughter seems to be taking after her mom, she just loves to dress up Sometimes I look at my daughter and I am just amazed that she is so grown up. What happened to my little baby girl? It seems just like yesterday she was crawling around! Now a days she is dressing up and acting like a teenager. My daughter may only be a tween, but in her mind she thinks she is a little adult. She loves flashy stylish clothes, and now she is really into purses. So when she found out that she would be able to review a customizable purse from Flying Buttress she was so excited. Being able to choose what panels she liked, panels that fit her personality. 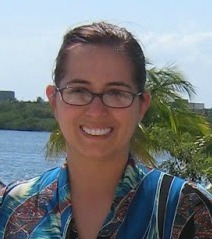 She went with a nice mixture that are great for everyday wear, or dress up. The Mona Lisa white panels are made from a durable canvas material. The white background is a great place to start your masterpiece, you can draw whatever you want on your purse. My daughter is the budding artist, but oddly enough she choose to sick her favorite Monsters High sicker on the purse instead of drawing on the bag. She said she did not know what to draw… and she would have to think about it. I am sure she will be creating her artwork soon, she could use markers paint just about anything. I am sure it will turn out great. The Lily panel is one of my favorites. This is a more dressy look that has a little sparkle. The panel comes in white, yellow and teal. The teal was such a pretty blue color it just pops. This would be great for a holiday occasion or if my daughter just feels like dressing up, this pretty panel will be a great addition to her dressed up look. And last but certainty not least the Kiana panel. This panel is right out of the tropics. Our family are big fans of Disney’s Polynesian Resort it is our favorite hotel and it is all about the islands and had a great tropical feel. My daughter loves this hotel, and one day would love to go to Hawaii one day. So I can see why she loves this tropical looking panel. The yellow and pink flowers are so very pretty and will be great to use for vacation. The panels snaps to the bag and they are attached well. Each corner has a snap, to insure that the panel will not come off. You will not have to worry that your daughter will come home one day and a panel will be missing from her purse. The panels are sturdy, and they are not going anywhere, until you unsnap them and change them. I love the idea of being able to switch the look of the purse in seconds. You can chance the purse to match your outfits, to fit your moods whatever you like. And the Flying Buttress has a bunch of panels to choose from, from classic colors, animal prints to sparkling covers. The panels are all pretty, and they will get noticed. The inside of the bag is just the right size for all your little girl’s needs. Plenty of room for a lip balm, some cash and a phone (my daughter does not have one yet.. she will need one soon I am sure) and more. 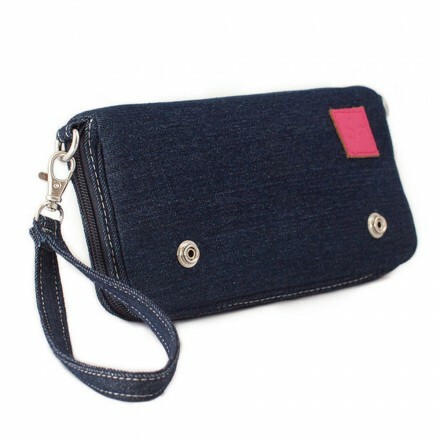 The lining is a nice bright color making the inside of the purse easy to see. My daughter will surely be bringing this purse and a few panels with us on our trip to Disneyland later this month. This great looking bag can be used as a wristlet or a shoulder or cross body purse. So if my daughter wants to ride a ride, and is concerned with losing her purse all she has to do is add the strap and turn this into a cross body burse, it is easy as pie to change the style that way as well. 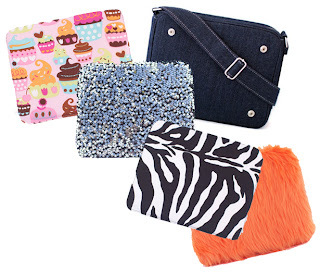 Sure these bags are great for kids tweens and teens but honestly these great bags could be used by anyone. I could see myself carrying this cute bag, not that my daughter will let me borrow it. Ever since she got this great bag she has been carrying it everywhere and getting so much use out of it. Of course she had to bring it to school to show her classmates how cool her purse was, and yes they loved it too. So if you are looking for a great gift idea for a special little girl in your life, I would suggest a great bag from Flying Buttress. 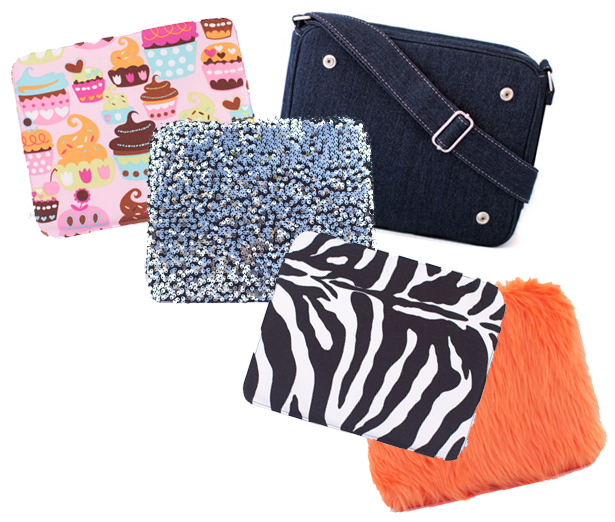 From wristlets, purses to lunchboxes! Yes your little girl can have a snazzy lunchbox that she will love to carry. I am sure my daughter would want one of the cool lunchboxes next, perhaps we will pick her up a lunch kit for the new school year she will love it. This is a bag that will never go out of style, you can always add to it and purchase new panels and make it your own. The generous folks at Flying Buttress are giving one of Susan’s Disney Family readers a chance to win a Birdie purse Gift Pack, the gift pack includes (1) Birdie Bag, (1) Mona Lisa Panel (White Personalizable Panel), (1) Kimberley Panel (Magenta Sequin Panel), (1) Fabricmate Marker (Color Option of Black or Magenta) a $46.00 value. Would you like to win? Please check out the Flying Buttress site, take a look around then come back here and tell me what you love from the site. There are also other ways to enter, please enter below. Disclosure: The reviews and or opinions on this blog are my own opinions . I received a purse to review. No monitory compensation was received. I was not required to write a positive review. Your experience may differ. The opinions I have expressed are my own I am disclosing this in accordance with the Federal Trade Commissions 16 CFR Part 255: Guides Concerning the Use of Endorsement and Testimonials in Advertising . I like the Yummie Lunch Bag Gift Pack. Thanks for the chance to win! I like the Birdie bag with the dottie panel! I like their Booie Bag! Thanks so much for the fantastic giveaway! I like the Tommie Tote. I LOVE the birdie bag! I like the Booie Bag. I like the Rosie panel. I love the The Booie Bag !